Description: Limited Edition EMI Japan Jazz Best & More Series! Hard-to-find, rare reissue CD for a special low price! 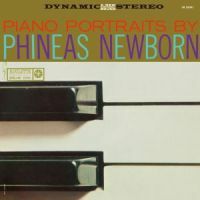 Phineas Newborn Jr was a true virtuoso pianist, possessing amazing technique and musicality. His two trio albums for Roulette, recorded in 1958 and 1959, respectively and reissued here, may be somewhat limited in terms of scope and dynamics in comparison to his towering achievements to be recorded several years later for Contemporary. Most performances contained here are less than four minutes long and some less than three minutes; and Newborn seems to be playing mostly in the mezzo piano and mezzo forte range. However, even with these presumably self-imposed restrictions, the master pianist's amazing technique and effective ideas are fully realized, making each performance of these well-known standards a unique experience. Highlights include the bluesy "Sweet And Lovely" and the incredibly fast "Just In Time." Recorded June 17 and 18, 1958. Originally released by Roulette.